The EM112 is the smallest 100 Amp meter on the market. 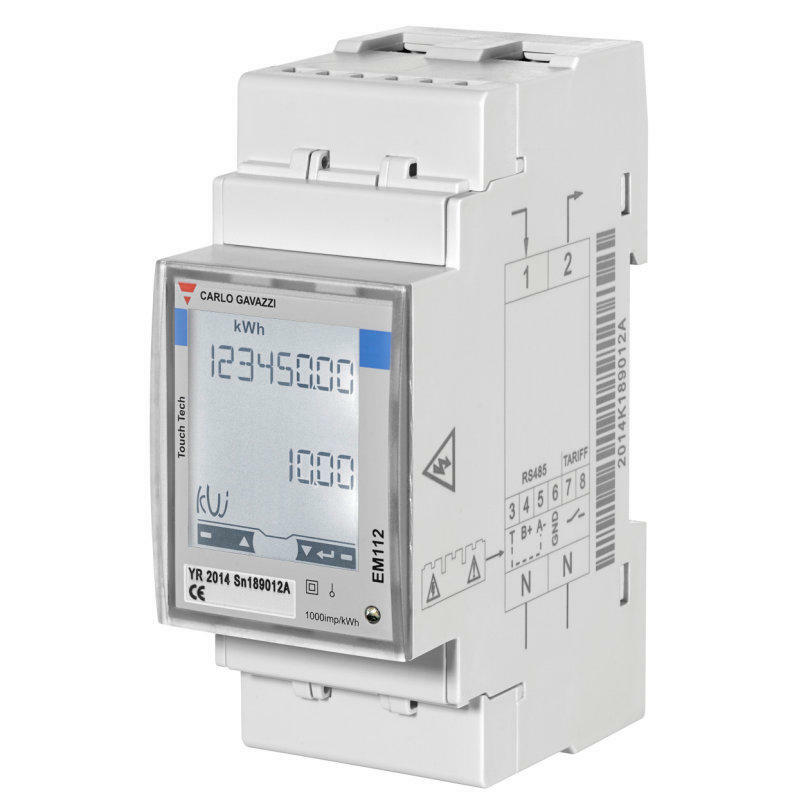 It is manufactured in the EU by the Italian company Carlo Gavazzi. Remarkably this compact unit displays both import and export energy and can record readings on two separate tariffs. It uses an integrated touch keypad and 8 digit LCD display to navigate through the meter settings. 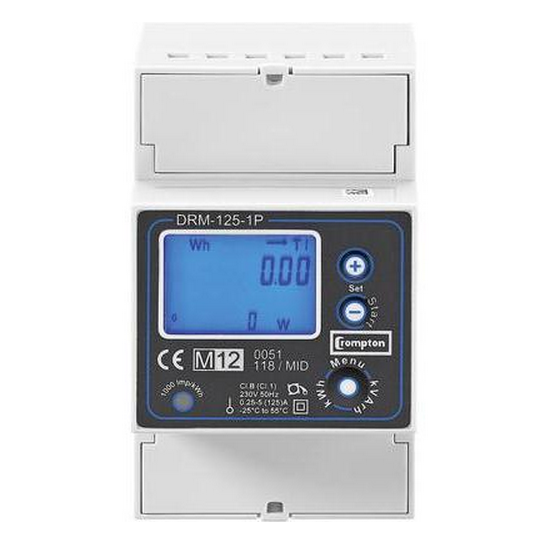 The EM112 is a reliable class 1 meter displaying Energy (kWh), Active Power (W) , Reactive Energy (kVArh), Voltage (V), Current (I), Power Factor (pf), Frequency (Hz), kW demand and kW demand peak. 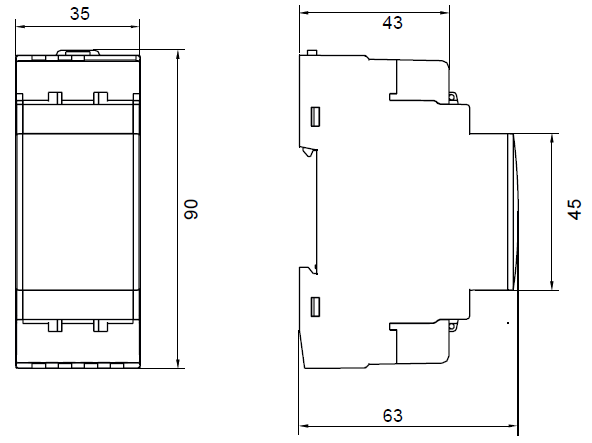 In addition this unit has one pulsed output which is proportional to KWh consumption.